We want to help you improve your English! Our ESL books and apps are designed to make learning English fun and effective! Our mobile apps for iOS and Android will help you improve your conversational English. Check out our full collection. 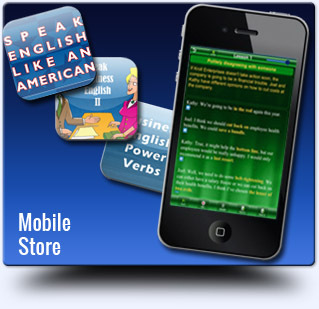 Get our bestselling Speak English Like an American app for iOS or Google Play.